The free Piano Designer app provides easy access to all the sound-making elements of your Roland piano’s tone. 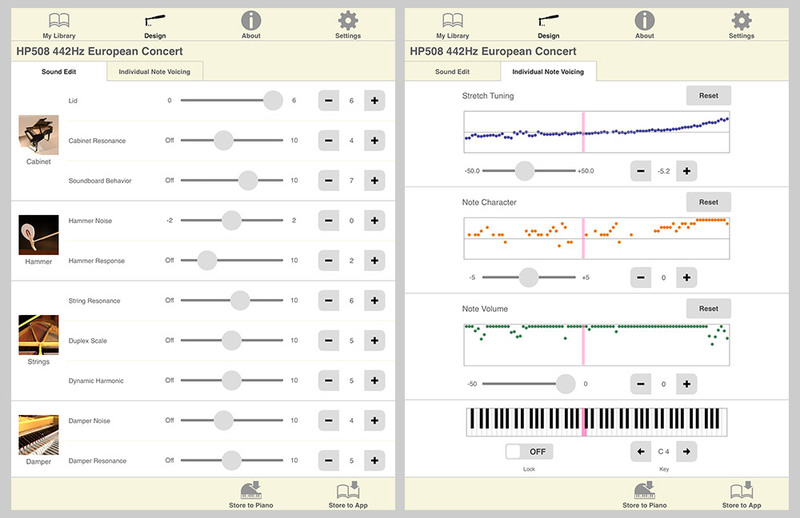 Roland is now offering a powerful free app for iOS and Android devices that unlocks a world of hidden parameters inside select piano models. Created for discerning players, Piano Designer provides numerous tools to customize the instrument’s sound and response for particular applications or playing styles. But even if you’re a less experienced pianist, you can still have fun with Piano Designer by exploring the many included presets created by a renowned piano technician. To better understand what Piano Designer is all about, let’s take a look at how the Roland piano sound is created in the first place. The tone and response of every Roland piano has been carefully crafted to emulate all aspects of the sound-making process of an acoustic piano. Every element is included—the strings, soundboard, frame, wood cabinet, and more. This is a very complex endeavor, and one that has taken decades of dedication and development to get just right. Fortunately, you don’t have to worry about that; Roland has designed your instrument so that you can enjoy the experience of a well-tuned piano immediately without fussing with any complicated parameters. This is ideal for most users, but experienced pianists and adventurous hobbyists may want to explore customizing the sound even more, using methods akin to how a professional technician fine-tunes an acoustic piano for a world-class artist. This is where Piano Designer comes in, providing detailed parameters for incredibly deep sound editing. From your device’s touchscreen, you have access to the smallest details of the piano tone via acoustic equivalents such as string type and tuning, hammer material, cabinet resonance, and many others. This gives you the power to carefully tune all the sound elements—even each of the 88 notes individually in some cases—just like a skilled technician does with an acoustic piano. Editing screens in the Piano Designer app. 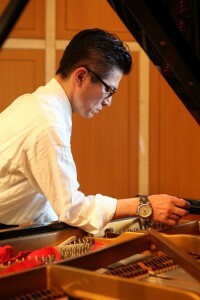 The presets in the Piano Designer app were created by world-class piano technician Takashi Iwasaki. When a pro piano tech sets up an acoustic grand to suit the performance needs of a top soloist or symphony player, the process is detailed, labor-intensive, and expensive. It also doesn’t last long; after the instrument has been played for a time, the process needs to be repeated to keep the tuning refined. This personalized setup is very important to many touring concert artists, who often employ personal piano techs to travel with them and set up house instruments to their liking for every single show. Because the sound engine in a Roland piano is digital, it’s simple to recall a specially tuned setup or return to the factory setting at any time. Every setup made with Piano Designer can be saved, allowing you to use the app to instantly change the piano’s voicing any time you like. 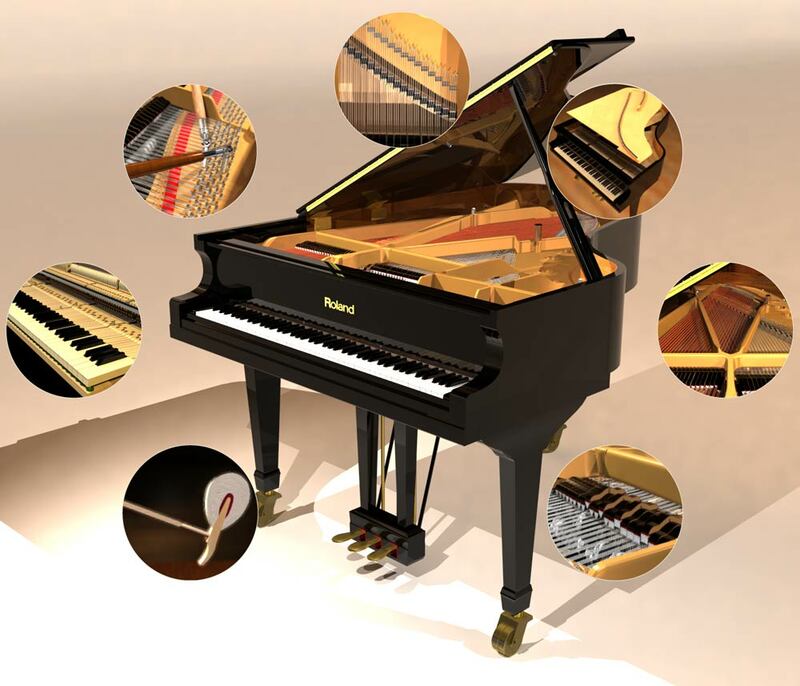 If you don’t want to get into adjusting your piano’s parameters yourself, you can still experiment with Piano Designer to enhance your piano experience. The app includes numerous setups that were created for specific applications, such a jazz or classical concert playing. This lets you easily explore and experience custom tones crafted by a master piano technician. Right from your device, you’re able to change the piano’s complete sound immediately—something that would take the technician literally hours to achieve on an acoustic piano. You can communicate wirelessly between the piano and your iPhone/iPad/iPod touch or Android smartphone/tablet using Roland’s WNA1100-RL Wireless USB Adapter (sold separately), which connects to the USB Memory port on the piano. Alternately, you can connect an iPhone or iPad directly to your piano via a USB cable using Apple’s iPad Camera Connection Kit or Lightning to USB Camera Adapter. Piano Designer is available for iOS devices from the App Store, and for Android devices from the Google Play store.